It's been more than 80 years since the first DAM Effzett lures splashed down. In that time they have evolved into one of the most famous and distinctive European predator brands. 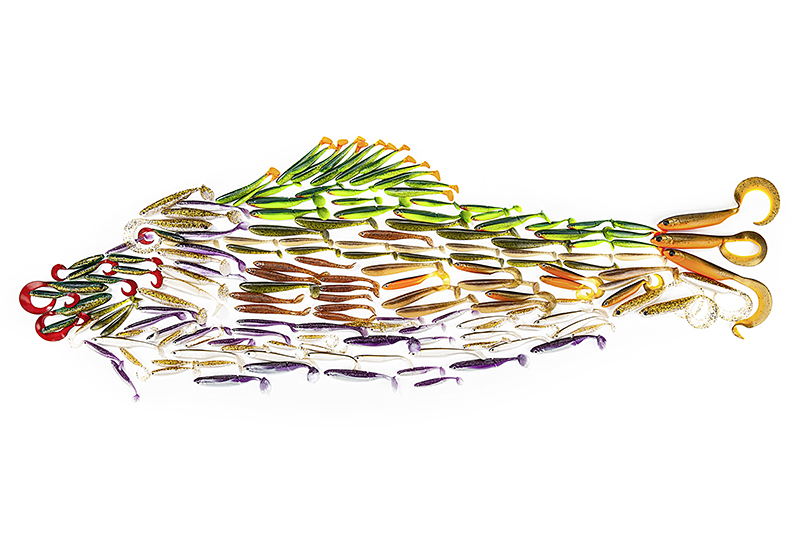 Each fish-shaped lure is carefully designed and rigorously tested by a group of highly experienced international anglers. This latest range of Effzett soft lures in many colours and sizes is the result of two years of endeavour by top predator anglers from Japan, Australia and South Africa – and, of course, Europe. These fantastic plastics are geared up to tackle every type of predatory fish, under any water conditions. UK drop shot and light lure fans fishing shallow canals and stillwaters are sure to be impressed by the latest Kick-S Minnow weedless paddle tail that performs a rolling action on a slow retrieve or on the drop. To this you can add the Effzett Jerky in 7cm, 9cm and 11cm sizes. It can be fished drop shot style or rigged up with a jighead.